We are committed to helping the community recycle some of their non-recyclables. You will find two new cans at our center. The larger can is sponsored by Clif bar and will recycle all power bar, energy bar and granola bar wrappers such as Clif bars, luna bars, or any of the many brands that are on the market today. Any foil lined wrapper can now be recycled. It must be washed and dried before placing it in the bin. When the bin is full, we will ship it off to TerraCycle to be recycled. The second can is sponsored by Tom’s of Maine and will collect natural care product packaging such as: mouthwash bottles and caps, deodorant containers and caps, toothpaste tubes and caps, soap packaging, floss containers, and toothbrushes. All containers must be cleaned and dried before placing them in the bin. Once the bin is full, it will be packaged and shipped to TerraCycle. We are so excited to start the New Year by reducing, reusing, and recycling our waste. If you have any other suggestions about how we can improve our practices, we welcome the feedback. If you have questions about the new recycling programs at Wellspring, please call us at 570-421-3708 or email us. Follow our journey by signing up for our blog here. 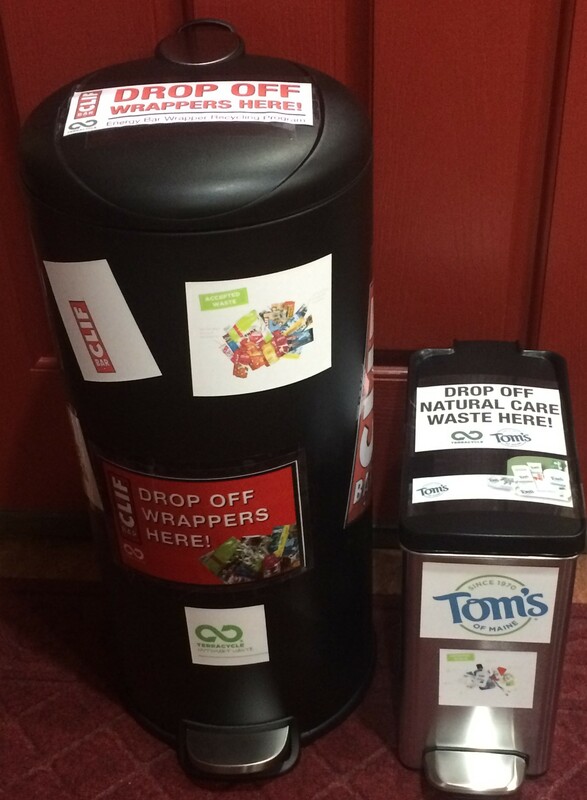 This entry was tagged clif bars, recycle, reduce plastic, Terra cycle, tom's of maine, Wellspring Holistic Center.